Dear Santa is a delightful show for the little ones (and big ones) with lots of audience participation it brings to life the Rod Campbell story. 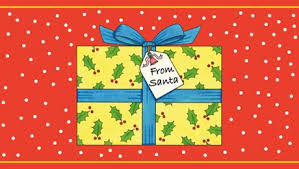 Basically Sarah is a lovely little girl who decides that she doesn’t want any presents herself so writes to Santa to tell her to give her presents to other boys and girls who don’t have anything. Santa obviously then wants to give her something special and the story unravels with his helpful Elf suggesting different items. This show is the ideal introduction to theatre for your little one as it is aimed at 2-7 year olds and the atmosphere is very relaxed (apart from no phones, strictly no phones, don’t even accidentally glance at it).